This 4-week plan is perfect for the multi-sport athlete who wants to train their swim, bike, and run along with developing their core strength. The core strength workouts are linked to my YouTube videos where I guide the athlete through a routine, from start to finish, instructing proper lifting form. The core strength workouts increase in duration each week, to build strength progressively. This plan is also great to help with weight loss. Progressive Run Workout. Warm up 20 minutes. The main set is a 20 minute build towards a faster pace. After build is done, run a 10 minute cool down followed with a 10 minute walk. Practice deep belly breathing during the walk to ignite recovery. This dynamic training workout is tough, so if you're using it for the first time, go very light with the weights, or do not use any weight at all. This routine will help you to develop core strength, coordination, agility, power, muscular endurance, balance, and more. It consist of complex and compound movements to challenge the body and the brain. Excellent core workout for athletes. There's nothing better than helping someone achieve a dream. 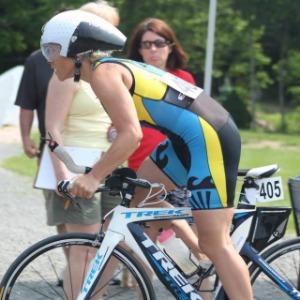 I started coaching athletes over a decade ago, and have worked with hundreds of individuals from beginner levels starting a new chapter in their life to age-group competitive athletes looking to break a personal record. I'm new to TrainingPeaks and so my available plans are limited, but if you have a goal in mind and want a plan from me that is not listed in my online store, contact me and I'd be delighted to write you one.